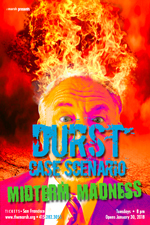 Will Durst’s one-man show, The Durst Case Scenario received rave reviews from audiences and critics alike in its run at the Marsh, and on tour to 30 cities in 6 states. A hysterical exploration of the changes in America during the Time of Trump, this 85-minute feast of outrage and outrageousness provided audiences with an amusing outlet for their anger & confusion. Because laughter allows hope to creep back on the inhale. Durst Case Scenario: Midterm Madness. DCS:MM describes our strange new world where everyday without a mushroom cloud is a victory in segments such as “Top Ten Ways the Democrats Will Blow the Midterms”, “Scientific Proof the President is a Reptile” and “Slovenia is an Irony Free Zone.” Prepare to meet the funny side of defiance. 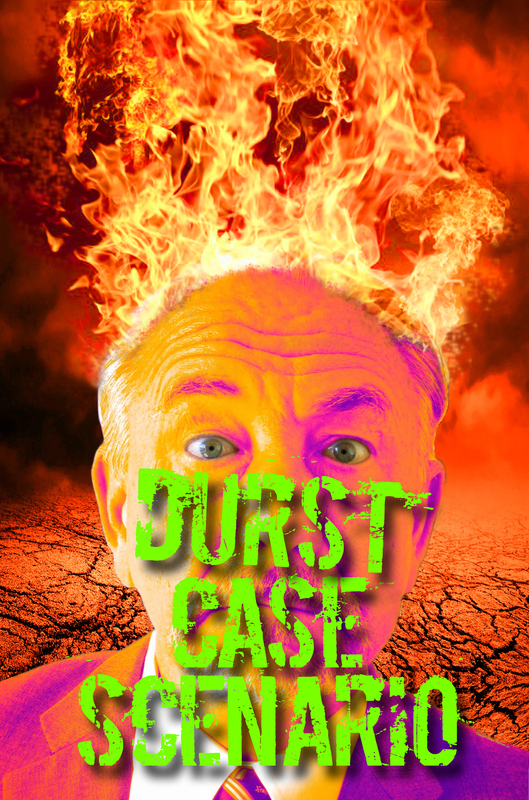 Will Durst’s performances are brought to you by the 1st Amendment to the US Constitution. At least for now. See this show before this sort of thing becomes illegal. Look for it at other theatrical venues around the Bay Area.